When you need to add a tropical feel to your garden, you can never go wrong with palm trees; not only are they beautiful, stately and majestic, they make an impressive statement about your home landscaping skills. They are great, functional not to mention an effective way to make a statement about your environmental awareness and landscaping capability. To this end, at A Quality Plant, the wholesale palm tree Orlando, Florida area service, we endeavor to let you seamlessly make these statements. As the number one source of wholesale palm trees Orlando, Florida residents can now increase the variety of trees adorning their various properties. From our broad selection of trees, have these unassuming trees lining you driveways; forming a peaceful, serene parade to see you off, when leaving your property and, to welcome you home, without fail. Join the select members in your neighborhood, met at the gate by a calm, serene atmosphere that fans them down as they drive up to their houses. Unlike other trees, palm trees do not litter the driveway or your compound with fallen branches of leaves; they have instead palm fronds that are occasionally shed, but never in their large number. Picking up a fallen frond can hardly be considered work, especially when compared to the efforts required to rake up fallen leaves. Unlike other trees, which shed their leaves right into your outdoor pool, palm trees do not pollute your pool, and relatively easy to manage. You can opt to prune the leaves when they turn brown or if the tree is relatively large, let it fall when it is ready. There are different types of palm trees, and they are suited to meet the various needs. The large palm trees attain a mature stature greater than 50 feet, and they can be tall and willowy or just massive. Such varieties, especially when combined with small palms, flowers, as well as other colorful shrubs, create a priceless tropic environment that is every home owners dream. The esthetic appeal created in such a paradise not only increases the value of the property but also compliments your gardening efforts. On the other hand if you are space limited, there are small palms that will help you achieve wondrous and artistic feats that will have your neighbors in awe. Small palm trees, which can range in size from mini-palms’ to a mature height of about 20 feet, are a complete package of shapes, texture, heights and even colors. As such they require small spaces and are useful in creating privacy in patios, pool cages, windows, and along property lines. 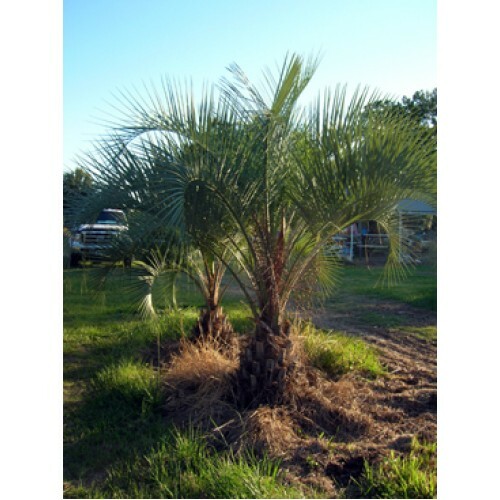 At A Quality Plant, the wholesale palm trees Orlando, Florida number one choice; we have a wide range of trees and a competent team of professionals that will greatly assist you in making the most suitable selection. Unlike home improvements, palm trees are cheap, affordable and grow grander with time and as such are a sure way of improving the value of your property. At the number one choice wholesale palm trees Orlando, Florida providers, we are well equipped to help you with this particular task. Plant a palm tree and watch as your property value appreciate, one frond at a time.